Growing up, my parents hated playing Monopoly. But naturally I loved it. When we sat down to boil down exactly their abhorrence, it was about how long it took to play rather than game play itself. So we compromised and we reserved all game play for a single day each year and no one could ask to play it at any other time. And so began the first of our family board game traditions that didn’t break until we grew up and moved away. One of my favorite parts about playing games as a family is that is has the ability to grow, morph, and change as each child does. In fact, sometimes it’s just surviving a game with babies and toddlers around and sometimes it’s intense gameplay with adult friends and family. Both create great memories, but they’re so very different. To create traditions along the way means you’re creating a trail of memories for your children. It’s more powerful than just learning it’s about building a family culture and weaving together the fabric of childhood and how education, games, community, and family are all part of one greater tapestry. Our very favorite tradition is something anyone can do at any time. It is quite simply that if we play a game with extended family, neighbors, or other friends from our community, we have them date and sign the box. We hope to build a time capsule within each box for our kids to show them over the years how we invited so many others to the table to share in friendly competition. 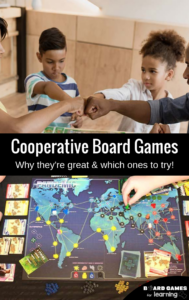 Whether it’s a Friday night, Tabletop Tuesday, or doesn’t even have a set day, knowing that each week you’ll be exploring new titles and enjoying old favorites is something all families can benefit from. I vividly remember losing my first tooth during a rousing game of Uno. To my best knowledge it was a set game night, but even if it wasn’t, the more we make traditions with the family, the more likely they’ll coincide with a flashbulb memory. Whether it’s weekly, once a month, or some other set time, having time when the family or even larger portion of your neighborhood or community is a fun way to bring others into the fun. 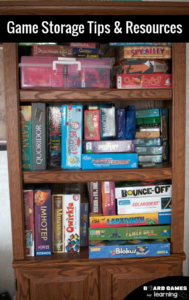 We have had cookouts with large games like Jenga and bowling and even capped the evening with a family film. Read more about some of these summer family traditions here. 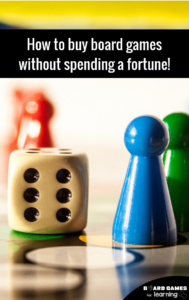 Use a 4 gift rule alternative including “Something to Share” as a game. Or choose something like my mom did growing up like a large puzzle that everyone works on from the 24th to whenever everyone heads back to school in January. As alluded to at the beginning of this post, Monopoly Day was January 1 of each year. My mom, my brother, and myself would pull out Monopoly and “Pass Go” as many times as we could in a 12-ish hour period. It doesn’t have to be a long game though. And it doesn’t have to be a game that someone doesn’t like. 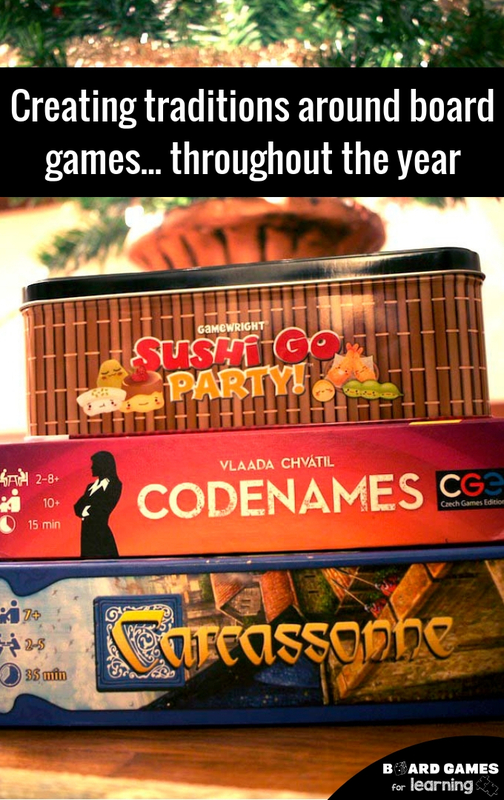 Pick one or multiple titles and ring in the new year making memories around your family’s table. Want updates and more ideas? 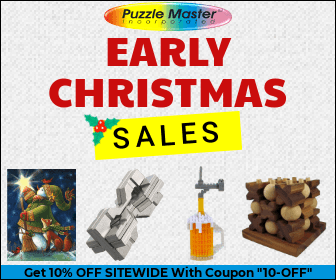 Previous Post: « Are cheap Dollar Store and Five Below board games worth it?